Basic smartphone with promising performance and well-packed features for the ever reducing price. Decent screen quality, basic graphical abilities and nice design make it appealing for the everyday Android user looking for nothing more than a phone that pinches but doesnt bite. Mridu, 13 Jun 2012How to transfer text messages from Xperia X8 to my PC to save my messages as backup please hel... moreyou can do with MyphoneExplorer. Its really good for backing up and even controlling your phone from your pc. you can download it here. hi i have a problem withmy xperia x8 every time i turn the phone on it reads (home screen process com.sonyericsson.homescreen) has stopped unexpectedly. no matter what i do it repeats message every time i click force close. i cant click on anything because of this.???? help???? Bought this phone like last year had no troubles with it the OS on the phone is pretty poor as it is running Android eclair which is pretty s*** lol, but due to me reading tutorials and everything i've been able to install ICS and Gingerbread custom roms onto this device and it works wonders :) but tbh it's not worth more than £80 just saying go for something else. can this be upgraded to latest android os version? Which is better this or LG optimus L3? vino, 08 Jun 2012am willing to get this phone.suggest me which is best this or samsung galaxy Go for the X8. got one too, and I'm pretty much satisfied. Wali, 07 Jun 2012just opened its box........how to change its messaging keypad from QWERTY to usual alpha numer... morePress and hold the box "EN" in ur keyboard. Then, the settings for ur keyboard will be showed. U can change ur settings thr. If you want a good, cheap android phone then go for this. I don't know what everyone seems to find wrong with it - I've never had any bother at all. The screen isn't multi touch but it still is responsive and quick. If you think the memory is too small then get a task killer app to close apps you don't need. The phone has enough room for nearly all the apps I want, which is quite a lot. It comes with a lot of useless apps (at least from my point of view) like Datavitz Roadsync. It's basically an extra email app that doesn't even seem to work with a Gmail account. I use the ROM toolbox app to remove system apps I don't need. WARNING: IT CAN BRICK YOUR PHONE IF YOU UNINSTALL A CRUCIAL APP, ALTHOUGH IT WORKED FINE FOR ME. Also this app needs a rooted phone, but can be done with Superoneclick. (another risky business I came through). The only downside to the phone is that it only has android 2.1. A lot of the apps require at least android 2.3 to run. The camera would never satisfy photographers, but it's handy if it's the only thing you have available. The apps supplied are pretty basic, and I hate the SE homescreen. Instead I use Go launcher Ex. It's a great launcher and really fast. It also supports themes, so I can get the ICS android 4 look easily, with a performance bonus. You can also customize the lock screen with go locker, also by go launcher. It also supports an ICS theme which looks very nice. In other words, this a great phone which I'd really recommend. If you don't like something on it, there's nearly always a way to fix it! 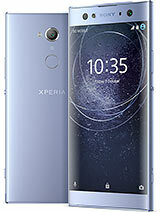 Hope this encourages you to buy an Xperia X8 if you're thinking about buying one. Bye!